You would think that we would have learnt how to communicate with each other by now. Sure, everyone is different, but even partners of 20 years seem to struggle at times to talk to each other properly. We are our own worst enemy, creating those communication blocks, holding ourselves back from greatness. Moods have a lot to do with our ability to communicate effectively, but often it is just our own insecurities that hinder us. 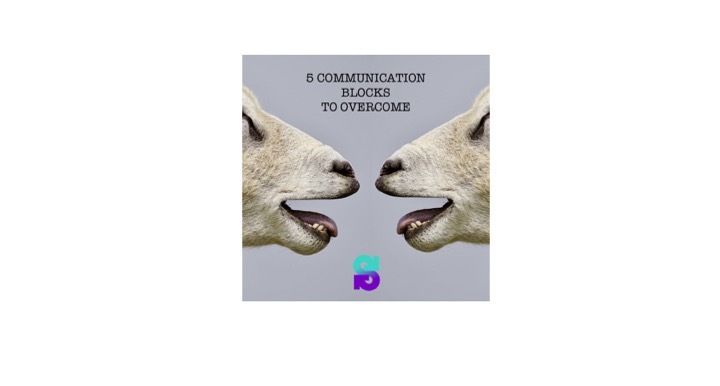 Realising what the communication blocks are that are stopping you from connecting can be the first step to connecting better with people and creating a more harmonious environment. We did it as kids – the name calling – but as adults we seem to do it in a different way. We label others – put them in boxes – and don’t allow ourselves to see them as they are – for the beautiful person they are – how unique they are in their own right. Simply don’t label others. We are terrible creatures when it comes to judging the book by their cover. Allow yourself to remove those layers slowly, as the other person will feel comfortable in doing so, and see the pages, the words, and the essence beneath. Reaching out to someone with the sole intention of wanting to talk about yourself isn’t a great way to communicate. Yes, we understand you need to talk to someone at times, but sharing is caring – so ask about their life with genuine interest and not only because you want to redirect it back to yourself. You can break down those communication blocks one step at a time. If you have the urge to finish someones sentence, talk right over them, or simply put words into their mouths – STOP! Let others talk. You will get your turn. There is a subtle art of having a conversation and knowing when its your turn to talk is part of it. Well, okay, not completely, but assuming things about others can just get you into trouble. You may be right most of the time but its best to keep it to yourself. Are you ready to hulk-smash those communication blocks away?